The Canterbury Rose Society has been established for approximately 80 years with members joining from across the region to learn about, promote and enjoy the rose. “My husband Barry and I were so pleased we brought the land where we did here in Selwyn, and we started a nursery years ago specialising in miniature roses,” says president Dawn Eagle. The society encourages members to learn to grow the flowers better and become rose judges. “We teach how to create your own breeds and all the different facets to growing and hybridising, how to propagate from cuttings and much more. We are getting younger members now, and it is really nice. 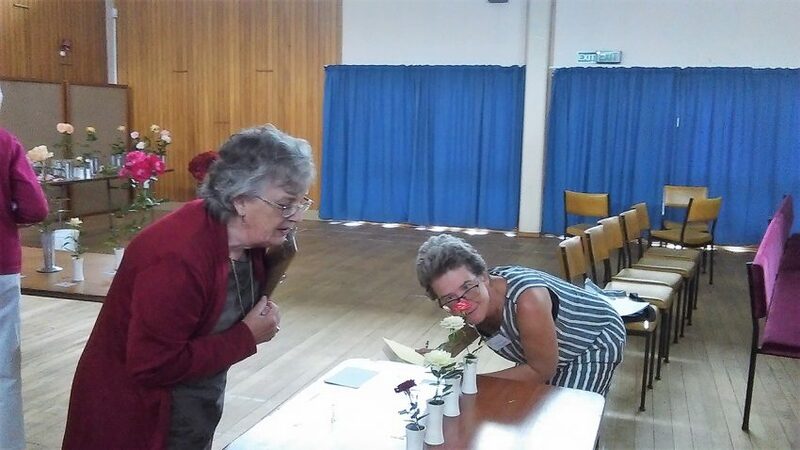 Recently four ladies took their first rose judging exam, a process that can take five years to become fully qualified. “Delia Arnold, Malin Zachau, Barbara Duff and Jill Evans all passed with flying colours. It is great to see new people coming through, as members are starting to retire as they get older.